Act Now to Claim These Free Bonus Gifts! For a limited time, when you join the thousands of internet marketers who are using Keyword Ignition, I'll throw in free bonus gifts! Ask questions, mingle with your fellow IM'ers, and learn about effective keyword research through this invaluable community resource. Use this valuable resource to get extra insights into the best ways to use Keyword Ignition in your niche research. 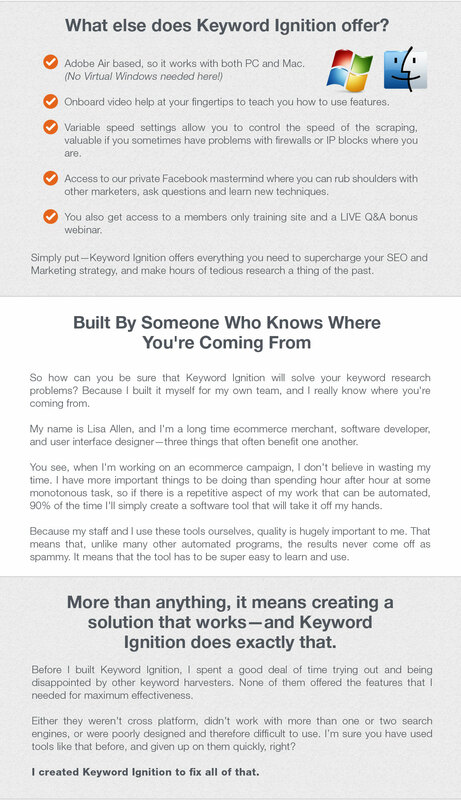 Get every future update to Keyword Ignition including all new features for free. Instant Social Image﻿﻿﻿﻿ -- $97 Value! Last Chance Exit Popup ﻿﻿﻿﻿﻿﻿-- $97 Value! A better way to catch the attention of your viewers before they leave. 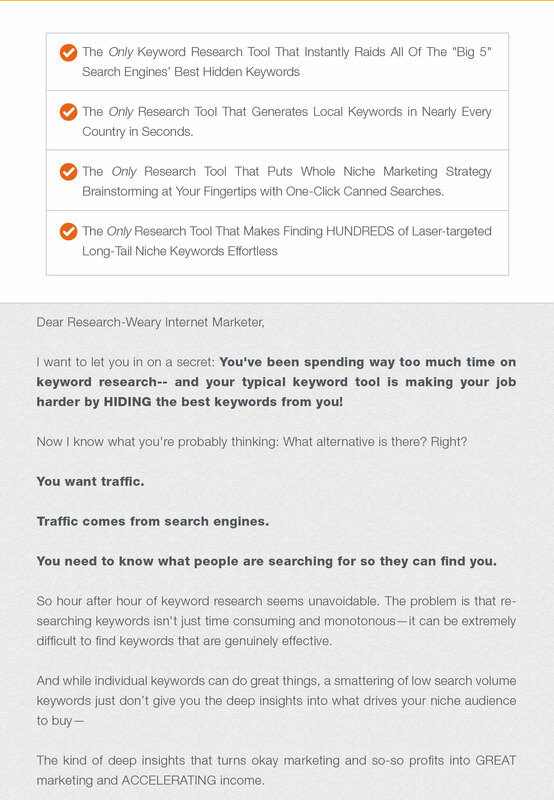 Makes Your Niche Keyword Brainstorming! We are totally committed to making Keyword Ignition work for you! To celebrate the release of Keyword Ignition 1.5's new features, I'm offering it at a special promotional price. But be warned--this price will not last! Act now to get the rock bottom promotional price because I don't know how long I'll continue to offer it at this amazing low price. In order to get the best bang for your buck you must order before it's too late! Remember -- you must act quickly. Not only will the introductory price go up in just a few days, but the free gifts are only available for a limited time. To get the most out of Keyword Ignition for the lowest cost, time is of the essence. Keyword Ignition will make your marketing efforts easier, faster, and more effective. 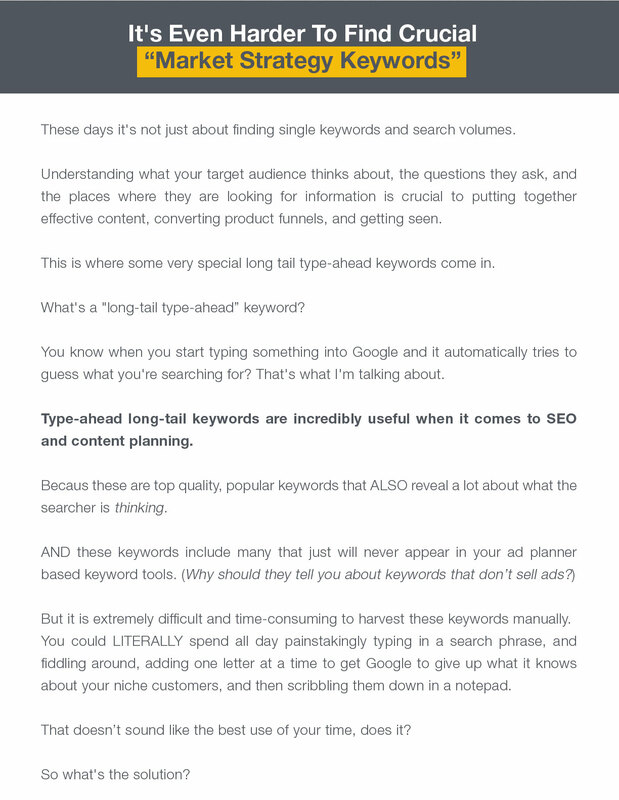 Why make things harder on yourself when there's a simple solution that will take some of the keyword brainstorming and research weight off your shoulders? 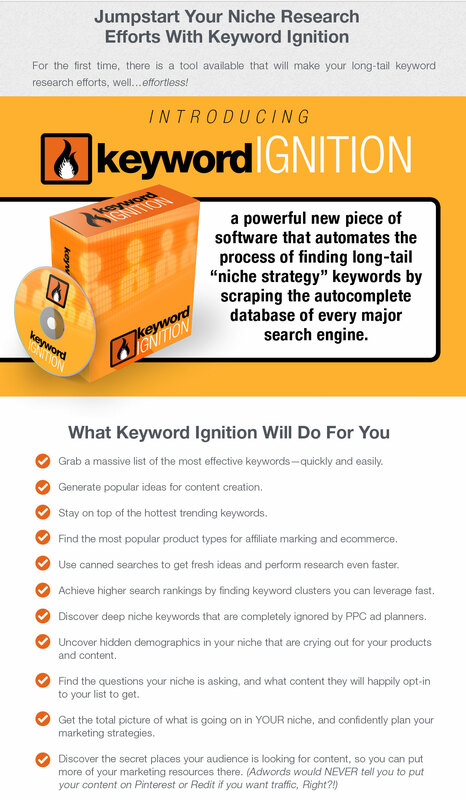 Start using Keyword Ignition today! (plus many more keyword sources). And if you're going to reach as many customers as possible, you can't limit yourself to one or two keyword sources. 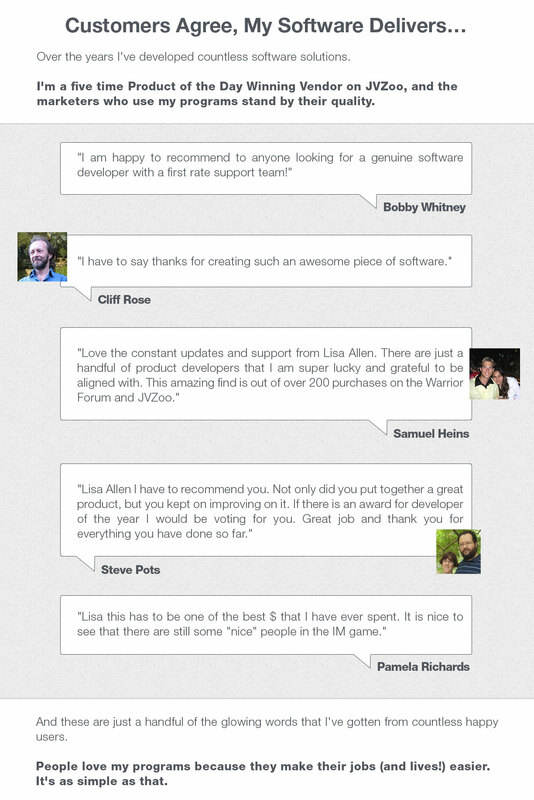 Getting the most customers possible is what IM is all about! That, and making money! Keyword Ignition will help you understand and bring in the customers, and the money will follow. P.P.S Remember to act quickly as this low, low price will not last. 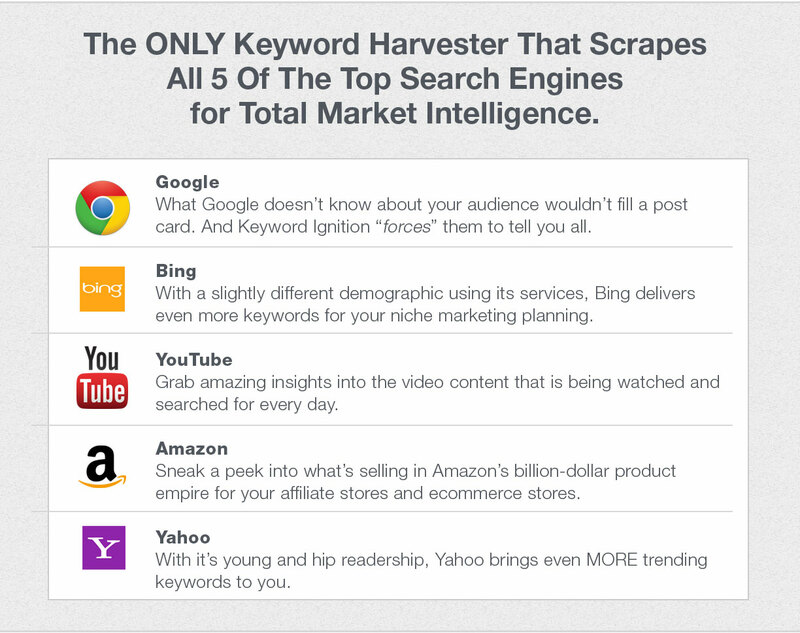 Now is your chance to get unrivaled keyword research power at a steep discount!